Chris Barker has kindly provided us with a backup of the NeoKobe.Net website from around the year 2000. This is an important piece of the Snatcher presence online, and we now proudly present it to you at: http://junkerhq.net/neokobe/. NovaTheMighty from the Junker HQ forums just shared an interview with Jim Parks (Random Hajile and Napoleon) Go check it out. Wired X Metal Gear Solid V Watch scans are now available. The scans for the Japanese Metal Gear Solid V: The Phantom Pain Collector's Edition are now available. Here are the scans of the Metal Gear Solid V First Print Soundtrack. The scans for Metal Gear Solid V: The Phantom Pain Day One and Collector's Edition are now available. It's been a long time since the last activity on this news feed. Of course, we all know about The Phantom Pain and are eagerly awaiting for it. It will certainly mark the end of an era. Junker HQ has been a Kojima fan site for more than 15 years, and we don't know yet what the future will bring. What we do know is that MGSV will be an incredible game, and we'll enjoy it soon. From then on, we hope the best for the Kojima productions team. We'll be following their paths. Happy birthday Kojima san. Updated the Sdatcher translation for the dub project. Download it here. Nickdaring from the forums has compiled a set of photos, you can check them out here. Eric Jacobus wants to discuss making a Snatcher fan film. You should watch his videos and give your thoughts at the forum thread. The scans for the Metal Gear Solid HD Collection - Limited Edition are now available. Waiting for that Japanese boxset. Here are the scans for the Metal Gear Solid HD Collection regular edition PS3 version, as soon my Limited Edition gets delivered, I'll upload those as well. I'll be waiting for the Japanese one, that one I have high hopes for. SDATCHER ACT 4 with unofficial English and Spanish Subtitles is live! ACT 4 of Suda51's SDATCHER is now available at SDATCHER.net, it keeps getting better. Hope you enjoy it! ACT 3 of the SDATCHER translation is now available at SDATCHER.net. You can also follow the Sdatcher twitter account for updates and feedback, and the site has been redesigned. The SDATCHER set is available for preorder at Konami Style, it contains the goods sold at TGS and the SDATCHER CD. SDATCHER.net has released ACT 2, hope you guys enjoy it. SDATCHER.net hosts the subtitled video in English, hope you enjoy it. On the latest KP podcast they asked for feedback regarding whether people want to see Sdatcher localized somehow. While we're continuing to work on our subtitled version, it would nevertheless be great to see an official English version. Spread the word on forums, Facebook, Twitter, etc.! This conflict has just begun. That's right, in HIDECHAN RADIO #300, you can listen to SDATCHER from minute 27:50 to 38:22. So far I've liked it very much, what I can understand, and the music of course. Enjoy! Omega579 from the forums aletred us to the latest KP Report where they discuss the "Super Widescreen" issue. You can listen to that segment at minute 11 with 50 seconds. Cast your vote regarding this issue and let's try and make this HD release what should be, documenting the proper cinematography, not showing unintended content and most importantly, using HD correctly and to its full extent by asking for the cinemas in their original 18;9 presentation. Here's the link, post your comment. As you probably know, the aspect ratio of teh original titles during cinemas, which was 16:9, is not being respected in the HD remakes.. even though the native aspect ratio is now real 16:9 and not achieved through letterboxing. And even though the Snake soup documented this in several occasions, now it is being reported as a feature. It has not been reported how this will affect both Z.O.E. titles. It must be noted that Anubis has some animation, which will hopefully be respected, but who knows about the real time cinemas. It is a shame since the aesthetic value is completely disregarded, and some elements which were not meant to be shown are now. It could have been (or maybe still could be) a perfect re-release, but it seems they are focusing on having this maybe due to some technical problem. "An excerpt of the Sdatcher theme music and a trailer was included in the latest Hideradio." "Like the rest of the music, the song is composed by Akira Yamaoka and starts at 16:30, and the trailer starts at 38:40. Being a trailer, I'm not sure I want to translate it because I don't have the entire script to go on (contextual factors come into play)." "A release date of September 2nd is announced at the end of the trailer." More info at: the forums. Thanks to Marc for the detailed information. "This idea of an open world in 3D is very good, and I would love to do something like Snatcher, but I do not have the time or the means to do so. But if anyone else would like to develop it, I would love it." The other will be in Atomix Mag. The cast has been announced and photographed. They are: Akio Otsuka, Kikuko Inoue, Houchu Otsuka, Yumi Kikuchi, Tomokazu Sugita, Tetsuya Yanagihara (America Zarigani) and Takehito Koyasu. Plus, Goichi Suda and Hideo Kojima as cameo roles. Gibson... being a prequel of sorts, he must be the main character. Finally, the Radio drama has been announced for Hidechan 300. Suda and Akira Yamaoka working on it. As a bonus they have a video regarding the Trading cards. Charge Back Forward dis an unboxing video of the MSX2 version of Snatcher. I had a lot of fun watching it, made me laugh. Great job by Mike and Terence. Slowbeef just release Part 3 of his Policenauts translation hack documentation. Here's an excellent link on Jeremy Blaustein. Slowbeef has made a Snatcher "Let's Play" video, be sure to watch it. Here are some scans and photos form the new Metal Gear Solid 4 Master Art Works Art book, hope you guys like them. Happy new year! "It took me a year and a half to get half of Snatcher done; I had six chapters planned out and they told me to cut it down to two!" A bit more exciting for long time Kojima fans, here's a new site: Mask Site. It seems to be a new IP, which would be refreshing for us all. From the Action Script withing the flash it seems that it shows something from 6 to 18 hours and something different during the rest of the day (the two masks most probably). This might imply something related to game mechanics and time. Go here to check the offical site. That's right, slowbeef has posted the Let's Play! Policenauts here at the Junker HQ forums and at The Something Awful Forums. We hope you enjoy it, he used Marc's Translation from the Policenauts Translation Project. LiquidPolicenaut from The Policenauts Paradise and Snatcher Shrine has created a video version from the Snatcher Manga, using Track 1 from the Snatcher soundtrack (the so called "Radio Play"). It is really a great piece that works perfectly, hope you enjoy it. you can view it on this forum thread. I know very few of our readers speak Spanish, but for those in Spain, Mexico and the rest of Latinamerica here is some news. I was invited to Nerdcore, the podcast by Leonardo Lambertini and Oscar Noriega to do a special episode regarding Metal Gear Solid 4 and the MGS series in general. It is spoiler free. Please feel free to leave your comments at the forums or their sites. Here are the scans for the Metal Gear Solid 4 Japanese Limited Edition and the MGS4 US Limited Edition. Another year goes by, and it is just a week for us to have MGS4 in our hands. Again, be wary of spoilers... they seem to be everywhere. Check out the new wallpapers at Policenauts.net. They are under the Gallery section, excellent work from our friend Ches Villar (Omega579). The new PS3 ones are specially sweet. Hope to see you online, check the boards for other users that are in. Just as a service notice, the download is 741 MB but it is really slow tonight. Be advised that after that, you'll need to install another ~600 MB, but those are through a torrent client where you share with other users. As Marc said, I believe this is a first in the console world. It certainly has been a long time, and this post is just for the preliminary pics of Medicom's Old Snake. I'll have a "new" Policenauts related item in a month or so. Marc has posted images from the interview with Jeff Lupetin (Gillian Seed) and Lucy Childs (Metal Gear Mk II), great news for Snatcher fans! 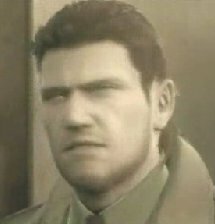 James Clinton Howell (you might recall him from Deltahead translations) has posted an excellent formal analysis on MGS2. I highly recommend you read it. A new tool to extract the Sega/Mega CD audio from Snatcher is now available for download. It is able to extract the original audio in it's full quality (8 bit 16 Khz), so if you are interested go give it a try. The long awaited PTT Podcast - Episode 11 from TUS, which has the Interview with Jeremy Blaustein, has been uploaded. It has the first part of the interview with this great translator. I bet Snatcher fans will love to know about the stuff he has to say regarding its localization, so go get it from TUS now. Check out Osiris' post for details. The translated trailers for Policenauts are now available for download at Policenauts net. Hope you guys enjoy them. A friend of mine pointed me to a great game called La Mulana, a game created in the MSX style and recently translated to English. I must say that the game design is really good, and that it is indeed challenging. I recommend you play it. But, there is more to it as the title of this entry says. The game has hidden mini MSX game parodies within, by collecting some items. Here is a link to a video of the one that interests us. I must warn you though, the voice of the guy narrating is a bit annoying. You've been warned. Be sure to check out the MGS Drama CD Translations, originally done by Juan Soler, revised by Marc. Great stuff that hasn't been available to non Japanese speakers. Policenauts net site re launched, with an important announcement. Go check it out at: Policenauts .Net It speaks for itself. Full Article: Policenauts net site re launched, with an important announcement. If you are interested in importing, it is already available. Howdy all, I thought some of you would be interested to know i uploaded an updated translation for Metal Gear (1.9). Anyway it's got a couple of corrections and has been enhanced with lowercase lettering. I know this kind of translation is kind of irrelevant given the subsistence releases (which I have btw), but it at least might be ok for nostalgia purposes. Osiris posted an interview from June '01, posted on Core Magazine online, between Mikami and Kojima. An interesting read. This is the first time the magazine has ever had a game designer on its cover. Thanks to Osiris for the information. 1) Which KP game would you like to see remade (or ported to another console)? Oooookaaaayyy.... That was kinda unexpected (except for the MSX versions). KP was surprised Document got top, too. 2) Which KP game would you like to see get a sequel? 3) Which system(s) would you like to see us release games for? 4) Which genre(s) would you like to see us work on? 5) What sort of content would you like to see us work with? 6) What sort of collaborations would you like to see us do? I tried my best with the percentages, but I really had to squint to even get a good look at them. Anyway, the shows will be broadcast over the next coming weeks. It appears Tecmo and KP are going to be doing some sort of big collaberation. Lunar Knights will also have animation scenes done by Studio 4 C. Doshin the Giant's Kazutoshi Iida made a surprise appearance on the radio as well. The game system is more or less in place now, so they'll really start fleshing out the rest of the game. However, he says it'll be quite a while before it's completed, so it looks like next winter (and not July) will be the release period. Besides the 12-inch Snake figure, there are a number of other merchandise goods being planned. Kojima revealed they went to a Middle Eastern country, a South American country, and several eastern European countries for the game's research. These are possibly the locations in which the game takes place. Kojima said that a group in the game uses real people, as in people in our world, and one of them is Yumi Kikuchi, a co-host of Hidechan. They then showed a CG model they made of Yumi, and said they put her face through several layers of digital make-up, and then... And that's where he said he couldn't say anymore. But he did say, "Why do they need to use real people? You'll have to play the game to find out." Finally, Kojima said you'll be about to control aspects of the opening titles of the game, like Snake Eater, only this time it'll be even more amazing. He said, "Konami's customer help lines will be ringing off the hook the day the game comes out." Kojima said the hard part about making Ops is whent they change the story for Ops, MGS4's story changes, too. Likewise, when they change 4's story, Ops has to be changed as well. He said he won't have a clear vision of 4's story until Ops is completed. Kojima said he wants people to play DGN2 before 4 as the two stories are closely connected. It sounds like DGN2 might have story elements not present in MGS2. Here are the scans for two Policenauts items: The 3D0 Policenauts Telephone Card and the Policenauts (Playstation The Best Edition). I'll be posting scans for another soundtrack tomorrow. Thanks to Osiris we now know how you could get one back in the day: "they held a competition with the shooting trainer in the game and gave them out to anyone who got over 50 points." They say it appears as if you can remove Snake's facemask by your own accord. Having it on helps you blend in more. You can disguise yourself as an enemy, but if you're in among a group of them and you disguise yourself as one who doesn't fit, they'll suss you out. You can take items, weapons, and get info from enemies from a holdup. It appears as if MG Mk II can attack with his cord, but whether you or Otacon control it is unknown. The rest is pretty much discernable from the screenshots (combat inside and outside, blah blah). The bottom of the last page (though 3rd page of the article) is Snake ambushing a guy in an alleyway. Rolando Cedillo has posted about a conference and chat with Ryuhei Kitamura where he talked about The Twin Snakes and his relationship with Kojima Hideo. It is an interetsing read, and might give you a different perspective on the game. Great news for Snatcher fans, specially those of us who enjoy the music from it. First, The Kremlin has created and uploaded the next edition of Snatcher Soundtracks REMASTERED so go and listen to them, just please ddon't abuse the server. And the second piece of Snatcher music related news, you can get a Snatcher PSG Medley from the PC Engine version here. It is June 6th, another Catastrophe anniversary. As always, The Kremlin did a little something to conmemorate it. I am sorry there is nothing new around here, but I am working on something you might like, may take a while though. Marc has made translations of some bits that were removed from the US version of Snatcher, as well as some that were added to later versions. They are being added to the corresponding pages, but meanwhile you can read them at the forums. This year Kojima Productions radically changed the Press kit they give out, and instead did a parody of the Show Daily E3 pamphlet. It is called "Show Maybe?" and they talk about it in yesterday's Kojima report. MGS TUS has the 15 minute trailer for download. As you know the Kojima Report Podcast offered today the first 90 second of audio of the MGS4 trailer that will be presented during this E3. They also provided a translation of the audio. Osiris posted at the forums about the confirmation of the Metal Gear movie by Kojima himself while talking with the voice actor of Paramedic during last episode of Hidechan radio. Please, read the thread for more information. Being fan of the works of both Kojima Hideo and Oshii Mamoru I am really happy to listen to them at Hidechan radio. Oshii will be a guest for three programs in a row, being this one the first. I was really happy when I found that interview in the Policenauts guide, which had both of them, since I found a lot of their ideas similar. The only problem of course is understanding spoken Japanese, a task I am still not very good at =P. Scans for the US version of Metal Gear Ac!d 2 are up now. A shame they changed the Tobidac!d so much, but I understand their reasons. I uploaded both CG intro videos from the Snatcher remakes for the Playstation and Saturn, hope you enjoyed them. And, for those that would like to take a look at Kojima's favorite masterpiece, you can watch the Policenauts trailers from the Private Collection. The scans of the Metal Gear Solid 3: Subsistence Limited Edition scans are up now, the regular edition is exactly the same minus the Red box and the Existence DVD. Unfortunately the manual does not have all the detail it should (the japanese one was 130+ pages), most probably due to not wanting to rise the price of the product. This detail might make it difficult for some to deal with the MSX games, so I am linking the Metal Gear Redux page, which contains a translation of Metal Gear's manual and Takamichi's translation of the Metal Gear 2: Solid Snake Manual for reference. During Hidechan Radio #31 Suda51 and Kojima talk about Gyakuten Saiban (Phoenix Wright), Snatcher and Policenauts (minute 6:00); the background music is "Theme of Ending" from the MSX version of Snatcher. Unfortunately they are talking about the low sales of the genre. By the way, if you haven't played Phoenix Wright and have a DS, give it a try... I loved the game. Thanks to Osiris for pointing this out. Mr. Rudi has shared with us another arrangement from "Hands on Snatcher", you can download it from the Snatcher and SD Snatcher Music Arrangements page. Remember if you have trouble downloading them from that page, you can use the topic at the forums. Another month goes by. But there are some Snatcher news, which I don't claim to be the first to bring of course. There was a renewal of the Snatcher trademark by Konami, on 2005-10-27. Of course this has created rumors of a re-release of some sort, but if you examine the page it reveals that such a renewal process has been done in the past, and that it needs to be done every 6 years (Wikipedia states that in the US it is a period of 5 years at most). What it does point out, is that Konami is not forgetting it's trademarks neither letting them go. Also, during the 25th Hidechan radio transmission (available at Konami's site) the guest was Kikuko Inoue (seiyuu/voice actress for Jaime Seed in Snatcher CD-ROMantic, Karen Hojo in Policenauts, Rose in Metal Gear Solid 2 and The Boss in Metal Gear Solid 3. I don't understand much of it, but from what I gathered and what Osiris told me (who told me about this whole deal) they are speaking about when they made the games (Snatcher and Policenauts) and they put Snatcher and Policenauts music in the background during the interview. The great thing that they always do, noted as well by Osiris, is end the program with End of the Dark, a hint to how much Kojima-san loves the game. Thanks a lot to Marc for this info. I hope you enjoy them, there is really good art in that soundtrack, couldn't help but scan it all. I am sorry it took so long, but I have been really busy at the office. Snatcher. Policenauts, Boktai, Zone of the Enders, Anubis and Metal Gear are registered trademark of Konami Corporation. Konami is a registered trademark of Konami Corporation Joint Stock Company.